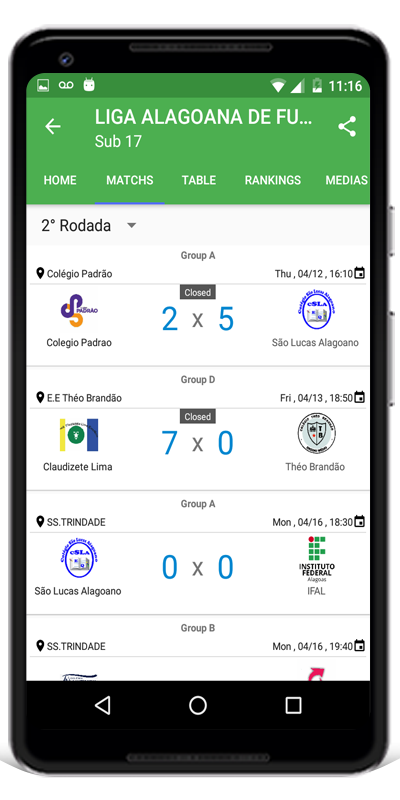 Add photos, videos and news from your league by application or desktop. It allows to create championships of categories and with different number of stages and rounds. Classification tables, artillery and rankings calculated automatically.Crie also votes between players. Application and site, ready to use!